Unlike many entrepreneurs, Gabriel Luis does not have parents who own a business. His mother is a bank manager and his father is a mail courier. But Luis was born — in Fairfield, Australia, a Sydney suburb — with an entrepreneurial spirit. Determined to make money, Luis researched a range of passive income businesses, including vending machines and slush drink machines, for six months before he chose online retailing. He has a technical background, having worked for five years as a telecommunications technician for New South Wales Railways after finishing high school. That experience led him to design and launch a bed linen website. “I launched the first iteration of our Just Bedding website in November 2005 for $5,000 while I was still working full-time,” Luis said. His sister and business partner Claudia, who was working at Kennard’s Hire, an Australian equipment rental company, joined him just before their first customer order arrived. By 2006, Just Bedding’s gross revenue was $48,000. It grew to $600,000 by 2010, doubling to $1.5 million by 2012. The company is set to clear $2 million in 2013. 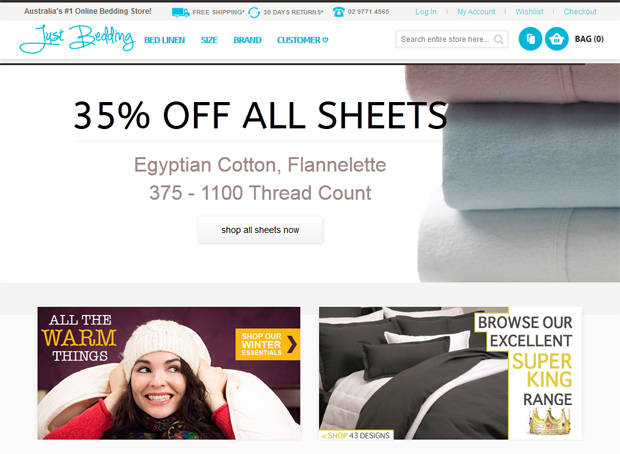 The original Just Bedding website used the X-Cart shopping platform until 2010. “X-Cart’s file system was messy and this made front end design inconvenient to customize. It cost about $300 for the source code and months of customizing to switch to Magento Enterprise,” Luis said. Open source and customizable, Magento Enterprise has a large community of third-party extensions that allow for almost any business need that arises down the line, according to Luis. “It also gave us total control of our content, database, and file system,” Luis said. Luis designed the Just Bedding website, after learning design and programming by trial-and-error. The more complex back-end developments are handled by Luis’ freelance Magento developer based in Shanghai, China, whom he has been using for five years. “Before him we used a Russian programmer for about two years that we found on oDesk,” Luis said. Just Bedding uses ANZ eGate (a payment gateway) and PayPal for credit card payments. “Originally, ANZ eGate offered the best rates, though now with our larger volume of transactions we should be able to find a better rate than 2.5 percent. We pay about $1,500 to $2,000 in fees each month,” Luis said. Magento Enterprise handles order management, but Luis used some custom developments to accommodate order workflow. “We had to override Magento’s inability to print packing slips before shipment was completed. Now sales orders are seamlessly received into the system and then later printed in the warehouse for picking, packing, and shipping,” Luis said. Luis manages inventory through Magento but re-orders stock manually via email. He hopes to automate this process before the end of the year. Just Bedding is hosted by Anchor, an Australian company, using Anchor’s “Complete Support” package. “The time they save, the access to expert knowledge, and the level of care we get from them easily makes up the difference in cost, not to mention peace of mind,” Luis said. Luis believes finding the right people is of the utmost importance, but great talent is either expensive or hard to find for a start-up business. 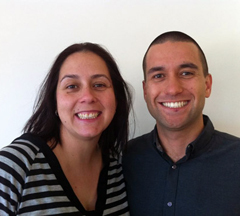 Gabriel and Claudia had no employees until 2010. This created enormous stress and prevented them from expanding with so many business areas needing attention. “I was quite used to working 110 hours a week,” Luis said. Today they have a picker, customer service assistant, and a marketing and social media specialist. “This has improved efficiency and growth, and allows us to have a more balanced life outside of work,” Luis said. Luis believes SEO is becoming less important as search engines become more sophisticated. “I focus on creating beautiful websites that people want to visit, experience, and share, and on creating original content,” Luis said. He said many outsourced SEO companies damage their clients’ rankings by using questionable tactics. “Two SEO companies we contracted with in India and Australia did this despite assuring us that they only employ white-hat SEO methods. 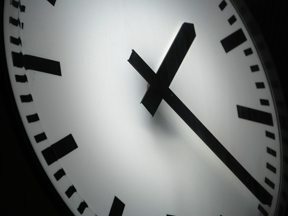 We now only do SEO in-house, which is time consuming, but better in the long run,” Luis said. For domestic Australian orders, Luis uses Australia Post and Couriers Please, an express delivery firm. For international orders, he uses only Australia Post. He experimented with an Australian shipping gateway, Temando, which integrates with Magento to streamline the shipping process and save time. “However, Temando’s shipping rates almost always had additional charges well above those initially quoted in its automated system,” Luis said. He said finding a better shipping deal, especially international shipping, is a challenge and a potential obstacle to growth. International orders comprise about 10 to 15 per cent of Just Bedding’s business. Just Bedding has one of the largest ranges of Australian bed linen brands online with approximately 1,500 products, sourced from dozens of local manufacturers. Using many of his existing suppliers, Luis recently launched Cushion Room, a retailer of cushions and soft furnishings, to complement his bed linen range. For Just Bedding, he plans to expand into international brands and develop his own white-label products in the next three to five years. “Right now we are more focused on getting the online side of things perfected first and improving the range of shopping experiences we can offer,” Luis said. Luis discovered MYOB, his accounting software, would not integrate with Magento, forcing him to take orders from the website and reproduce them in the MYOB software. At the end of 2010 he discovered the online accounting solution Xero, which updates Magento orders live with a third party web service called Carry the One, for about $50 per month. “We highly recommend this automated set-up if you’re using Magento,” Luis said. “We were late to the party with social media and did not begin using it effectively until a few years after launching, but we give it the attention it deserves now,” Luis said. Just Bedding markets to its customers via Facebook — which Luis estimates has brought in about 5 percent of its sales — as well as Twitter, Pinterest, and Instagram. Apart from stock replenishment, warehouse rent, and wages, Luis regards his Google AdWords monthly spend of $2,000 to $5,000 as a fixed cost. However, Luis and Claudia have learned not to spend heavily after buying untested bed linen designs, not to do too many backend website developments too quickly, and not to have excessively high budgets on underperforming AdWords campaigns. Now the pair uses their previous month’s performance to estimate how much they can spend on discretionary expenses. The top of the list is backend development. “We would love to improve workflow and functionality and create a mobile website by late 2013, but these developments are labor intensive and require a high level of costly technical expertise outside my capabilities,” Luis said. He admits he prioritizes what, if anything, should be done now, and has to force himself to be patient enough not to do unessential developments. “Not all website improvements are necessary,” Luis said. Like many successful online retailers, Luis makes customer service his company’s top priority, answering all inbound phone calls, and responding to all email inquiries within the hour. “This is an inescapable necessity of competing in today’s online environment — since most competitors either already do this, or at least try to,” Luis said. Luis lists some of his company’s most memorable mistakes as getting into needless debt by buying inventory that did not move fast enough, rolling out website developments too quickly, and excessive AdWords budgets that didn’t prove profitable. “I’d also say it was a mistake not having Google Analytics and social media set up from day one, and outsourcing our SEO efforts to untrustworthy companies,” Luis said. Luis is proudest that he and his sister began Just Bedding with no relevant knowledge, experience, or help, and have developed their own transferable skills as they’ve built a successful online business. He is currently studying German and Spanish at a university, as he and Claudia aim to expand Just Bedding’s reach into overseas markets.